Rents: Can landlord and tenant freely agree rents in Spain? The landlord and tenant can freely agree the rent. Monthly rent payments are the general rule, with the rent due within the first seven days of each month.The landlord cannot ask for more than one month payment in advance. The contracting parties can update rent on a yearly basis during the first five years of the contract only according to the variations of the Consumer Price Index (Indice de Precios al Consumo, IPC). In addition, the landlord should notify the intention to increase the rent with a written notification. Once this period of time has elapsed, the contract can be renewed at a new rent, which must not be more that 20% higher than the current rent. The landlord has the right to only one month's rent as deposit (fianza). During the five years minimum duration of the tenancy contract, a landlord is not allowed to update the deposit amount. The deposit should be held by an agency independent of both landlord and tenant, which will not release the deposit until both parties agree. The deposit can (e.g.) be held with the housing department of the local government (Consejeria de la Vivienda). If the landlord does not give back the deposit in due time to the tenant, then the legal interest rate will be applied. What rights do landlords and tenants have in Spain, especially as to duration of contract, and eviction? Landlords and tenants can write any contract duration into the contract, but this is overriden by the tenant's right to annually extend for five years any 'long-term' contract (Contrata de Vivienda), i.e., any contract over a year. This five years obligatory lease "carryover" will not be valid if the landlord expressly states in the contract his will to recover the dwelling for personal residence at a given date. 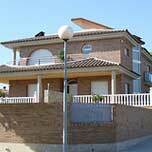 Short term contracts (Contrata por temporada) are designed for holiday rentals, but can last as long as one year. 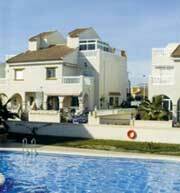 Holiday rental contracts, called arrienda de temporada, are not afected by the Law of Urban Leasing. These contracts do not give any right to automatic extension, and the tenant must vacate when the contract ends. How effective is the Spanish legal system? Ley de Arrendamientos Urbanos de 1994. The Law of Urban Leasing (Ley de Arrendamientos Urbanos), which came into effect on 1 January 1995, ended the forcible extension provision of the old 1964 law which made rental contracts indefinitely renewable by the tenant. It allows landlords gradually to raise the old controlled and ridiculously low rents towards real market prices, and, eventually, to recover their own property. The law also provides tenants with more security than the previous laws, and obliges landlords to renew residential contracts each year for up to five years. How high are estate duties in Spain? I am currently renting an appartment from my bosses which who i work for. they are now seperating and he has demanded that we move out in 24 hours. we have a 14 year old child and we have never signed a contract, do we have rights?. SPAIN NEEDS TO REFINE AND IMPROVE ITS LANDLORD-TENANT CONTRACTS TO ALLOW MORE PEOPLE TO PROVIDE RENTAL HOUSING..AND MORE PEOPLE TO HAVE THE AVAILABILITY OF RENTAL HOUSING. We have a property (small finca with land) in Southern Spain which we put on the market to sell, a prospective purchaser agreed to buy the property but was unable to obtain a mortgage. We agreed to to give the prospective purchaser a years rental contract. A contract was drawn up by our lawyer to confirm this and that the rent paid would be deducted from the purchase price upon completion of the sale, a deposit of $13k was paid by the prospective purchaser and it was agreed that if the sale fell through the prospective purchaser would lose the deposit and vacate the property. The year has now come to an end and the prospective purchaser is still unable to obtain a mortgage, we have agreed to give them a 1 month extension to the contract to try and get a mortgage. If they cannot get one after this month does the five year law apply ie we cannot evict them from the property ? If the 5 year law applies do we have right of access to the property and can we make structural changes to the property (they have built a stable with a concrete floor on the Rustic land without permissions) we would want to demolish this building as the land is on a Canada and this construction would mean a substantial fine on the property. I rented a room in a villa and i paid 2 months deposit.. i read here is not right. also I did not sign a contract at all and I would love to move out as my expectation were not fulfill. how am I likely to get my deposit back? p.s. also I not mind getting informed in spanish but I am not sure how to tranlate landlord tenent act into spanish. Wow it is hard to believe that a tenant can get away with not paying for 6 months before the courts will agree to an eviction. I thought the UK system of 2 months non payment was bad enough. So, just to get this clear....the law in Spain is that if you, as a landlord, rent out a property to somebody for more than a year you cannot then end the contract if the tenant continues to extend the contract for another five years every year? But if the tenant wants to leave they can just give 30 days notice?....and what happens if you rent out the property on a temporary rent basis (i.e. 1 year rent and hence subject to five year extension? Even if they didn't how long would it take to evict the tenant and would eviction be justified in law or not?